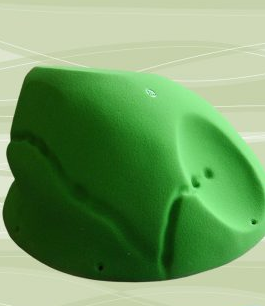 What is a dish or dish-like hand hold in rock climbing? I saw mention of a 'dish' hold, and cannot figure out what this means exactly from Google searches. There are many sites selling dish holds like this one, but I don't understand what 'dish' means from the pictures. Plates? Something to do with their flatness? "Dish holds" are holds that are (in relation to their total size) rather flat. That seems to be their defining property - they can be round, have pockets, edges or other interesting features on them, but the one thing they have in common is their flat shape. This is in contrast to e.g. large jugs or slopers etc. which stick out more from the wall. From my experience, a dish hold is one containing a smooth, shallow concave indentation, generally looking like the shape of a bowl or dish. I think it would fall under the sloper category, although slopers include both smooth concave and convex surfaces. The indentation on the right would be considered a dish hold. Another example of a dish hold. Not the answer you're looking for? 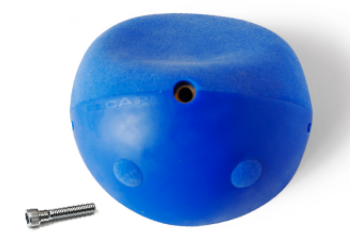 Browse other questions tagged rock-climbing terminology or ask your own question. What's the difference between a fjord and a fjard?